Below is one of the three maps that will appear in The Jericho River. BTW, as some have pointed out, it’s been quite a while since I’ve actually posted any history–as opposed to Jericho River updates. I’ve just had too much to do getting the book ready. But the history posts will return! CREDITS: The shorelines and the rivers com e from maps provided by d-maps.com at the following URL: http://d-maps.com/carte.php?lib=wide_mediterranean_sea_map&num_car=3137&lang=en. The compass roses come from fuzzimo.com, though it’s been modified from the fuzzimo original. 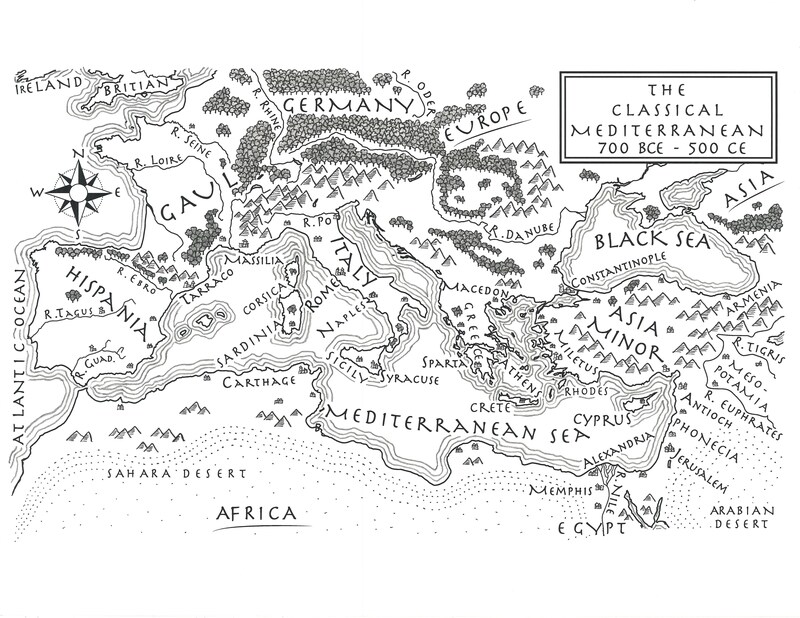 David Carthage drew all other map features. © 2012 by David Carthage. All rights reserved.